Image courtesy of Suat Eman, freedigitalphotos.net. What if this crane collapses, and hits workers on the construction site below it? 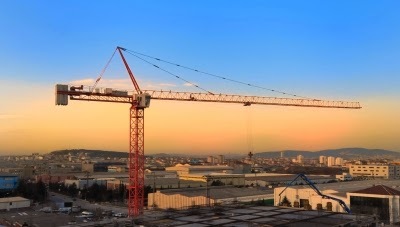 Could you be liable to charges if you were operating the crane at the time? What about if you supervised its loading immediately prior to the collapse with a load that seemed especially heavy? How about if you own the company that erected the crane? What if you are a corporate director of the corporation that manufactured the crane? Workplace incidents leading to serious injury or death of workers, pollution releases and contamination, mechanical failure of trucks, trains and boats, and financial or accounting irregularities can expose employees, supervisors, executives and corporate directors to both criminal and quasi-criminal personal liability. While sanctions can range from a small fine at the low end up to imprisonment at the high end, the key point is that you can be found personally liable for events which you might have had very little control over. A proactive policy of due diligence within your entire business will best protect everyone against charges being laid, and best defend against any charges that are laid. That means properly documented safe working practices, clean environmental practices, mechanical maintenance practices, and generally accepted financial or accounting practices. It’s not enough to just do it - you need to carefully make records of when, where, how and by whom those practices were implemented. Be able to prove that you had reasonable plans, and that you followed those plans. But in addition to looking out for the company and your colleagues, you also need to look out for yourself. If a government investigation is launched into your business practices, you don’t want to wind up being blamed for the acts or omissions of others. SEEK INDEPENDENT LEGAL ADVICE is the best suggestion that I can offer. It’s not that your corporate legal counsel will give you bad advice, but his or her loyalties need to first lie with the business - not to you personally. You need to talk to your own lawyer. If you’re lucky, the company will even pay for it - there’s no conflict in the company paying, and it certainly doesn’t hurt to ask. It’s in everyone’s interests at a business that all persons who might personally become targets of an investigation receive timely, knowledgeable and independent legal advice. This kind of independent legal advice comes at a bargain price compared to what hiring legal counsel to go to court might later cost. And if you do wind up getting charged, again seek out your own lawyer. The company could still certainly pay. In fact, I hope they would pay your legal fees if you were simply acting in the course of your employment or director’s duties. You lawyer might, in combination with legal counsel for the company, work out a deal with the prosecutor whereby the company pleads guilty in exchange for the prosecution undertaking to drop all the charges against the individuals like yourself. Be careful of joint legal representation, where it might be suggested that you plead guilty in exchange for charges being dropped against the company! Even if the company offers to reimburse you for any kind of fine to which you are subject, you will still be the one stuck with the conviction.